This machine was a version of No.2 with improvements; six aircraft were acquired by the Admiralty on Contract No.CP60401/14, the machines bearing serial Nos. 1195-1200. Delivery of these commenced in January 1915 and were followed by two more, Nos.3807-3808, (NT.2A) ordered later that year on CP45183/15 at ?1,600 each. Changes made from W&T No.2 included enclosure of the lower center section, which was then faired into the hull. The forty-five gallon fuel tank was slung above the floor, instead of resting on it, which had earlier resulted in damage. The wing tips were rounded and the single fin on the top wing was replaced by two of lower height above the inner interplane struts, later fitted above the outer struts on Nos.3807-3808. The struts bracing the top wing extensions were replaced by kingposts and wires. The main fin area was increased and an additional small fin was fitted above the tailplane, replacing the rudder balance area. The Austro-Daimler engine drove a four-bladed propeller and was fitted with a starting handle in front of the radiator, accessible from the cockpit. A Hispano-Suiza engine was fitted to the last machine No.3808, anticipating its use in the wartime NT.2B. This last machine was also provided with dual controls. Experience with the first machine led to the fitting of two struts from the hull to the engine mounting and an improved type of hull using copper riveting; these modifications were introduced in the NT.2A and fitted retrospectively to earlier machines. A windscreen and machine gun were fitted to some of the machines, which were used for oversea patrol operations, one of which resulted in No. 1199 being forced to alight in neutral territory, where it was acquired by the Dutch Navy, remaining in service until 1917. 120hp Austro-Daimler six-cylinder inline water-cooled built by Beardmore driving a four-bladed propeller. Designed originally at the same time as a twin-engined flying-boat for the 'Round Britain' contest for seaplanes, cancelled on the outbreak of war, the type was adopted by the RNAS for anti-submarine patrol duties, and eight production aircraft (designated White and Thompson No.3) were delivered with the serial numbers 1195 to 1200, 3807 and 3808. One 120 hp Beardmore engine. Loaded weight, 2,400 lb. Maximum speed, 85 mph. Crew of two, side-by-side. Span, 45 ft. Length, 27 ft 6 in. 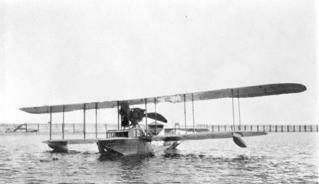 Two-seat dual-control training flying-boat used by the RNAS in 1917-18. It entered service at Calshot, Felixstowe and Lee-on-Solent, and 79 were still on charge at the time of the Armistice. It was built under licence by S E Saunders Ltd of Cowes and the Supermarine Aviation Works as well as by the parent company. The example illustrated (N2569) is one of the later production versions built by Norman Thompson and is fitted with a 200 hp Hispano-Suiza engine. Earlier versions had the 160 hp Beardmore or the 200 hp Sunbeam Arab engines. Total production was 134, serialled N 1180-1189, N2260-2294, N24002429, N2500-2516, N2555-2579 and N2760-2778. Maximum speed with the Arab engine was 85 mph at 2.000 ft and the service ceiling 11,400 ft. Loaded weight, 3.169 lb. Span, 48 ft 4 3/4 in. Length, 27 ft 4 1/2 in. No.3. This little flying-boat was acquired by the Admiralty in 1914 and was probably the first of its class in British service to carry armament. A Lewis gun was fitted lo a pillar mounting on the port side of the cockpit. The three-seat Norman-Thompson NT.2b Flying-boat was a biplane with pusher engine. Its most distinctive feature was the unusually big triangular fin with high-set tailplane. It had an enclosed cabin and could be fitted with skis for winter operation from ice or snow. 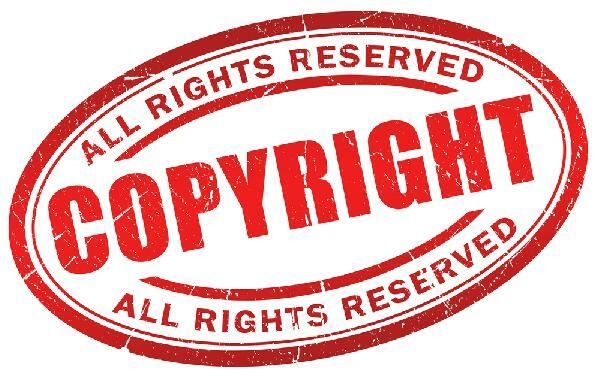 Other than a few examples obtained by Estonia and Peru, and one acquired by the RKKVF, no Norman-Thompson Flying-boats were sold to foreign military users. The one imported to the Soviet Union (3312, probably ex-N3312, later identified as c/n? 1622) arrived in May 1922 and after evaluation it was assigned to the 1st Razvedivatel'nyi gidrootryad at Oranienbaum. It was then transferred to Sevastopol and used for liaison duties. It was written off in 1925. W&T flying boat No.3 (NT2). One of a batch of six built in 1914-1915 for the RNAS. W&T flying boat No.3 (NT2). Modified with additional struts from the nose of the hull to the engine mounting. The NT2A was similar. Designed as a side-by-side, two seat flying boat trainer, 179 examples of the Norman Thompson NT 2B are known to have been built of the 284 ordered. Derived from the sole NT 2A tandem seat flying boat fighter, the NT 2Bs used either the 150hp or 200hp Hispano-Suiza, or the derivative Sunbeam Arab. 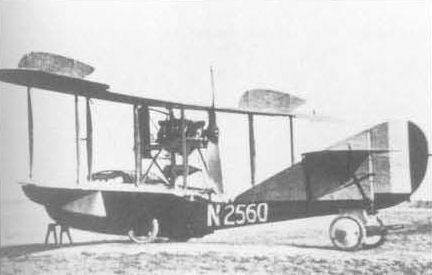 Deliveries of the NT 2B commenced in December 1917, the type being flown in large numbers from Calshot and Lee-on-Sea on the south coast, while more were based at Felixstow on the east coast. Top level speed of the NT 2B was typically 85mph at 2.000 feet, while its ceiling was 11.400 feet. Serial no N2560 seen here was from the last production batch of 25 aircraft to be completed. Note the enclosed cockpit. This is a post-war picture of the Canadian Norman Thompson N.T.2B which carried the (then) Canadian registration G-CAEL. The machine is (extensively ?) modified, at least the typical upper wing structure is absent. Possible other modifications. The machine must have been one of the large number of war-surplus Nroman Thimpson N.T.2b planes, used in Canada in the barnstorming years.